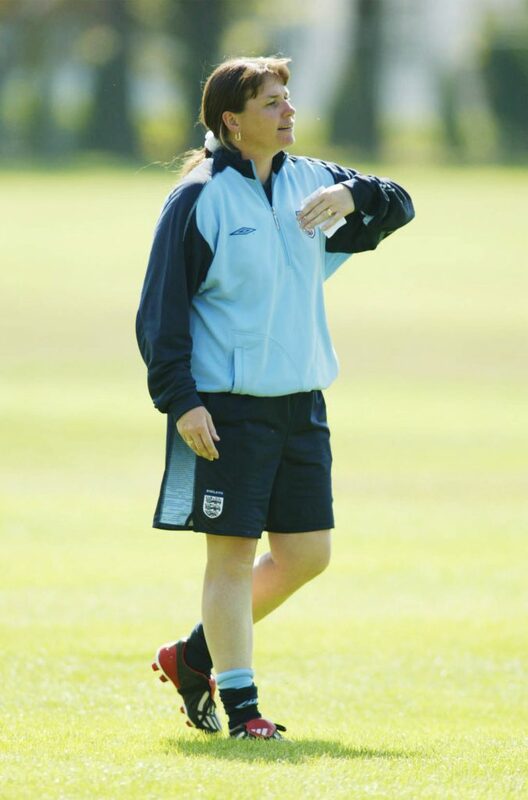 England WU20 manager Mo Marley during a training session at St Georges’ Park, Burton. England’s talented squad of 21 young players and dedicated staff boarded the plane at East Midlands Airport on 26th July, heading to northern France to put into practice what they have steadfastly prepared for since honest discussions and evaluations following the U-19 Euros in Belfast last summer. 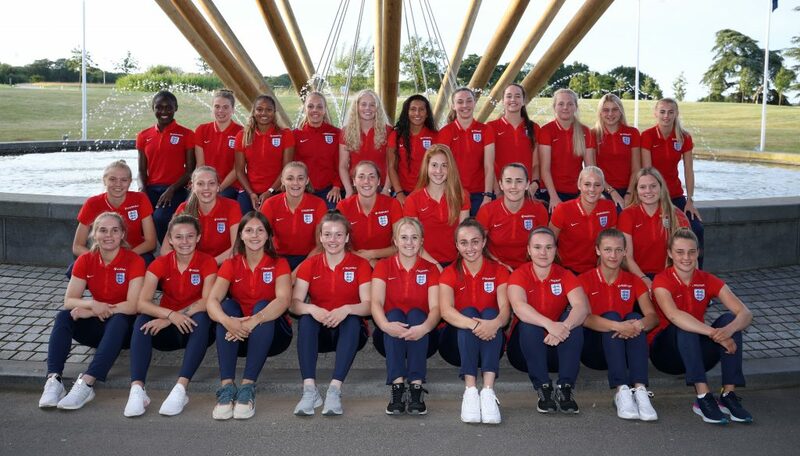 Despite qualifying for this FIFA U20 Women’s World Cup effectively ‘through the back door’ in a play-off v Scotland, Mo Marley’s charges have shown that they can compete with the best in the world at this age level, winning friendly tournaments featuring top teams. The crux comes on Sunday, 5th August when they kick off against the current holders North Korea – can they perform when it counts? On qualifying: In essence, we only got to qualify at the second attempt because France are the host nation. So we got in a little bit through the back door but we addressed that in our September camp. We had a complete tournament review, we set objectives for the year, what we needed to improve, what we need to do and what to work on and it’s been brilliant ever since. On preparations: We haven’t had a pure training programme for the U-20s. Where possible we have tried to play within the FIFA windows but a lot of events have been outside of those windows and conflicted with league fixtures, though we went to the Nike tournament in December, and won that. We then had a training camp in January where individually every player put together their own world cup programme and presented their mission to the staff. They set out: ‘this is what I’m going do and how I’m going to do it, this is what the best players in the world in my position have’. It was really comprehensive, they went into fantastic detail and were very mature about it. We then went as U20s for a week at the U23 Nordics in April. I think most nations like China, USA did. And now that the clubs are in off season we have really pushed it. In June we can do really concentrated work with them in every corner to try and help them rather than them being on their own. This past week has been on another level, their attitude has been great. We have another short camp at SGP, we name the squad in early July, then an off camp team building exercise (with real purpose and fun too), back in from 16th to 19th July and then we fly. On the experience of squad: We’re fortunate, we’ve got six or seven that have been to a world cup before (U-17 World Cup in Jordan) and faced North Korea and Brazil. You can’t replace that experience but you can share it and use it: it’s better coming from a player’s mouth than a coach’s about what you might come up against because these players have lived it. The transition from that age group is hard though and doesn’t guarantee selection – looking at the North Korea squad who won in Jordan, that’s a different group of players now. Playing China in La Manga, was a real eye opener for those that haven’t been to a world cup because playing teams outside of Europe is very different to playing every year against European teams. The excitement for playing China was phenomenal, they couldn’t wait for it and they loved it. On expectations: It’s really interesting because all of these friendly tournaments, playing the likes of USA and France, we’ve won. To go and beat or draw with these teams is a massive achievement and we’ve had some great performances. When we played France in the third game in Belfast we competed with them in every department. At this age group it’s not just about winning and losing it’s also how you perform and how you’re dealing with teams and situations. We believe we could have got to the semi final outright but we didn’t. We have unpicked and looked at why we didn’t. I’m confident that at this tournament we will be better prepared to produce what we are capable of. I’m not saying we are going to win it but we didn’t produce what we are capable of in all three games at the European Championships, that’s what we have been working hard all year on, to put right and we’re in a much better place and that’s exciting. So, we can compete but the skill and the art is about being able to deliver when it counts. Can you do it over a short period of time, in a major tournament at the highest level? That’s the next stage for this group of players. We’ve got experience but we’re realistic. We as a nation haven’t got a brilliant track record of playing in World Cup, and that’s our mission to try and put that right. On whether world cups are as special for the coach (this will be Marley’s fifth time at this tournament): I’ve tried to explain to the players, with the world cup, it’s so hard to qualify. That’s one thing. You have to be the best four or five in Europe. For us as England it’s an expectation, whereas you look through the stats and there are only certain teams that consistently qualify. We want to aspire to that moving forward. World cups are unique. European Championships are the norm, we get an opportunity to qualify for them every year. The world cup only comes around every two years and it’s on another level. It’s the best of the best, for sure. On what success looks like in her role: My job is to prepare players for the seniors, to transition and educate them. If we can compete and win along the way then that’s great, I’ve always said there’s no point in us winning the World Cup and having no-one ready to transition to the first team. That’s of no value to the system. 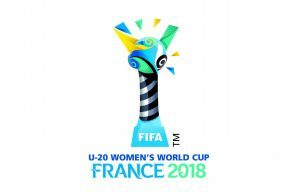 It might be a bit too soon for some to be ready for next year with the seniors but it’s another twelve months and this world cup is part of the process. These players are not just competing with the rest of the world, come 1st September they’re competing for a place in the seniors, so it’s preparing them for that. On the setting for the tournament: You don’t know how each individual player will respond but for me, it’s got a feel of England (which might sound crazy). It’s got a feel of English stadiums, the way it’s set up, it feels like home. 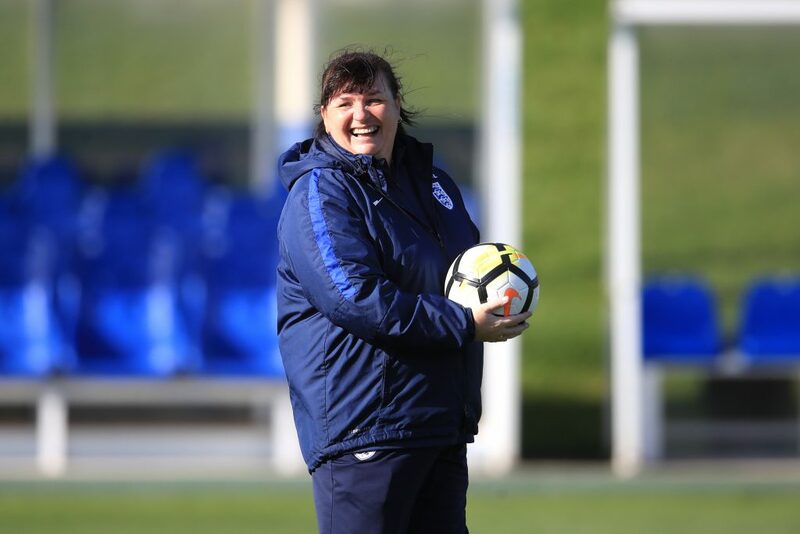 For me as a coach that brings normality, familiarity and the good thing is it’s accessible – the support from our parents is phenomenal. They follow our team everywhere and so that’s another added value, that it’s so close that we believe that we can hopefully attract a stronger group of England supporters, from all areas of the game, not just family and friends. Sandy MacIver (Clemson University), Ellie Roebuck (Manchester City), Emily Ramsey (Manchester United). 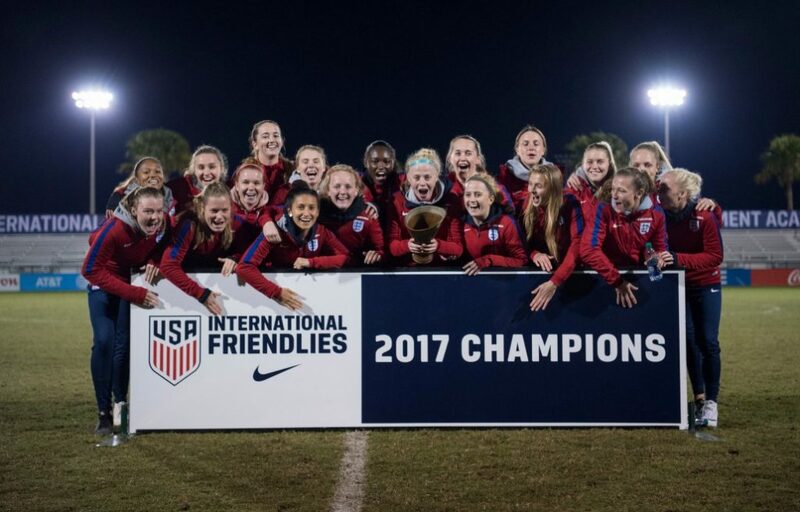 Mayumi Pacheco (Doncaster Rovers Belles), Megan Finnigan (Everton), Grace Fisk (University of South Carolina), Anna Patten (Florida State University), Esme Morgan (Manchester City), Taylor Hinds (Everton). Ali Johnson (Unattached), Mollie Rouse (University of Louisville), Zoe Cross (University of Missouri), Georgia Allen (Syracuse University), Chloe Peplow (Brighton & Hove Albion). Georgia Stanway (Manchester City), Rinsola Babajide (Liverpool), Niamh Charles (Liverpool), Charlie Wellings (Birmingham City), Lauren Hemp (Manchester City), Alessia Russo (University of North Carolina), Chloe Kelly (Everton).